You Will Design Professional Eye Catching Logo For my cousin charity organization. The Logo Graphics Are must be Guaranteed To Increase my Organization Awareness Over his Competitors. (specialist in graphic & logo designing, data entry). 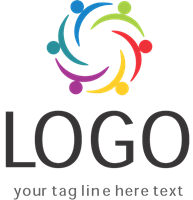 i will design a stunning logo for you with unlimited modifications until you say, 'perfect!' with the source file.